A contemporary housing development offering 5 generous apartments starting from 150 square metres. A simple white building that has been arranged into a complex composition with projections, covered and open balconies and protruding wall panels. We incorporated the valuable old trees on the site to act as focal points from the inside. 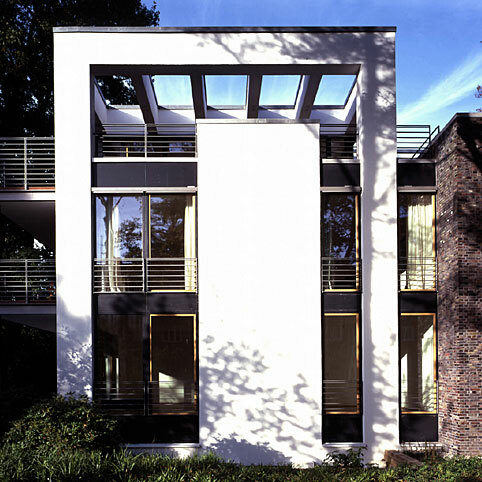 For this reason the west elevation consists of floor-to-ceiling vertical wooden windows. A reddish brown peat-fired brick wall surrounds and encloses the building on the north and east side.